Buckle up & strap yourself down! The New and Gauley Rivers are two of the top rafting and kayaking destinations in the east. When the water is released from the Summersville Dam, it unleashes a monster that takes only the most adventurist to try to tame it! The New River is no slouch either, with world class rapids. Think you got the “right stuff”? 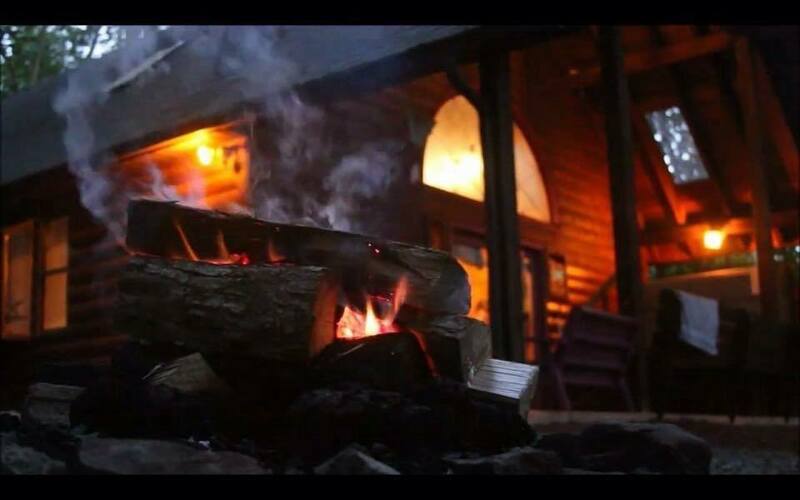 then come and stay with us and enjoy the many outdoor adventures our area has to offer. We can arrange a discount with one of the areas top Adventure Tour Companies. 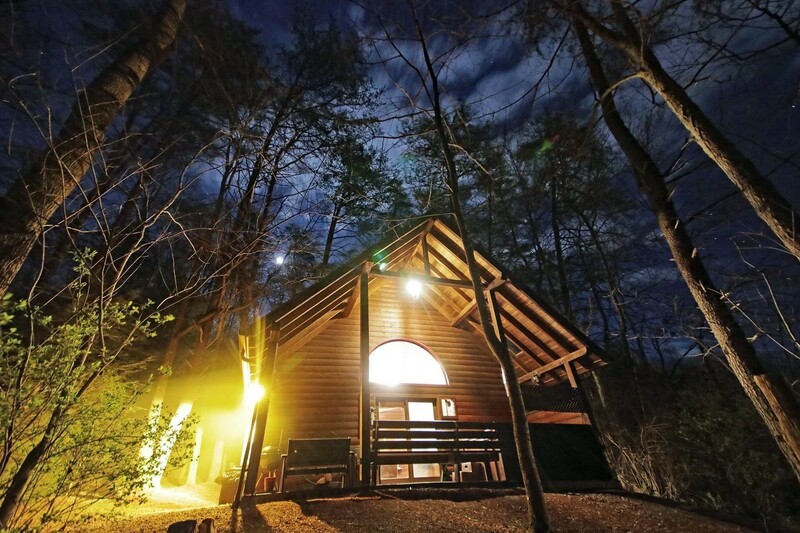 After an exhilarating and sometimes exhausting day, come back to your 3 bedroom, 1 full bath luxury cabin. 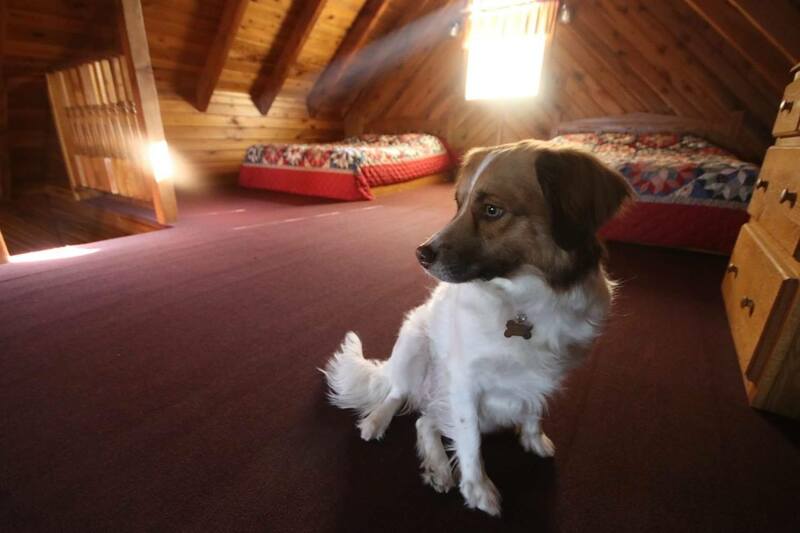 There is a queen size bed in both downstairs bedrooms and 2 queen beds in the loft. The kitchen comes fully equipped. 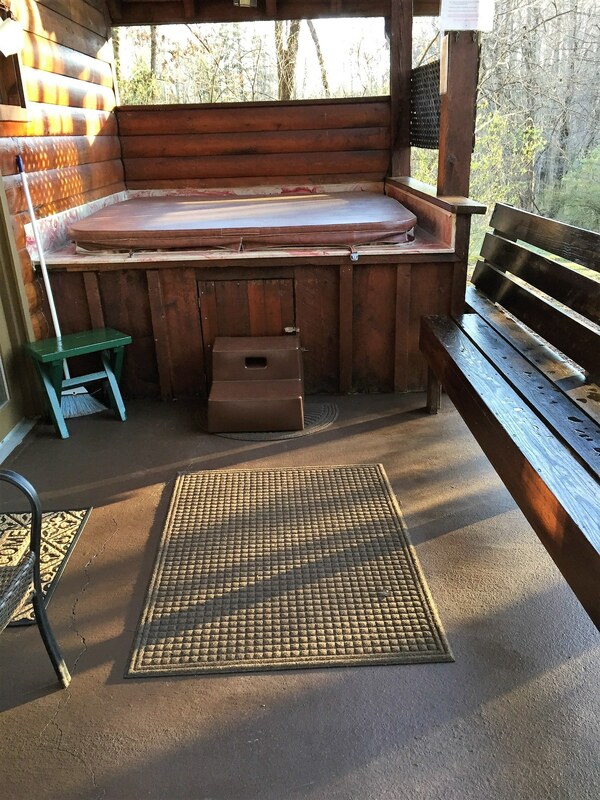 Relax in your private hot tub located just steps away from your front door. Towels, bedding and an initial supply of paper products are provided. Our motto is “expect the best”. Don’t wait and make your reservations today! Weekday & weekend rates are based on 2 guest. $30 charge for each additional guest, per night, up to a maximum of eight guests. EXTRA GUEST FEES DO NOT APPLY TO BRIDGE DAY WEEKEND SPECIAL RATES. (See below for Bridge Day Weekend special rates). The weekend minimum stay is 2 nights. 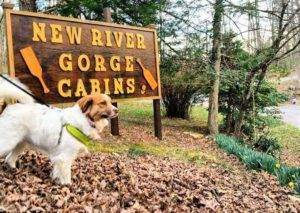 The one-time pet cleaning fee is $25 for Cabin #3, Whitewater Country.